Whether or not you have a machine that makes your favorite version of coffee at home, there's still something comforting about going in to your favorite coffee shop, local or chain, and walking out with a perfectly crafted cup of joe made by your favorite barista (we all have one). But while it's nice (and important) to treat yourself every morning or late afternoon, it's a habit that's not necessarily so nice on your bank account. According to USA Today, the average cup of coffee (without milk) costs $2.70, with specialty drinks like lattes and mochas averaging up to $3.94 a cup. That means that if you're a loyal morning latte drinker, you could be spending over $1K a year on your morning caffeine fix alone. Yes, really, $1,000. This doesn't even factor in the few (yet frequent) mornings you grab a muffin or a bottle of water from behind the counter to go. The average cup of coffee (without milk) costs $2.70, with specialty drinks like lattes and mochas averaging up to $3.94 a cup. A 16-oz. latte usually comes with two shots of espresso. Instead of ordering a complete latte, order espresso shots (over ice or in a cup) and pour in your own milk and sweetener. You'll save yourself anywhere from $1-3 and you can make your latte as light or dark as you want it. Double win for double espresso. Most coffee shops will fill up any tumbler, mug or travel cup that you bring in. They'll usually charge you at a standard price so depending on the capacity of your cup, you could be getting more fluid ounces for a cheaper price. Some chain coffee shops will also give you a small discounted price (think $0.10) for using a reusable cup, which certainly adds up if you're making this a daily habit. You might feel a little awkward asking, but it works. If you ask for a small coffee in a large cup (without milk), a barista is more than likely to over-pour the amount you would get in a normal small sized cup. Plus, people have a natural tendency to want to fill whatever's in front of them entirely. Pour in your own milk at the bar. It's hard to resist buying a bottle of water when you're thirsty and you're staring right at it. But there's no need to waste money on buying one. Ask for a cup of filtered water while you're ordering your drink and quench your thirst for free. If you've ever watched a barista pour ice in to any iced beverage that gets ordered, you'll notice that the cup is usually only half-filled with whatever drink is being prepared. 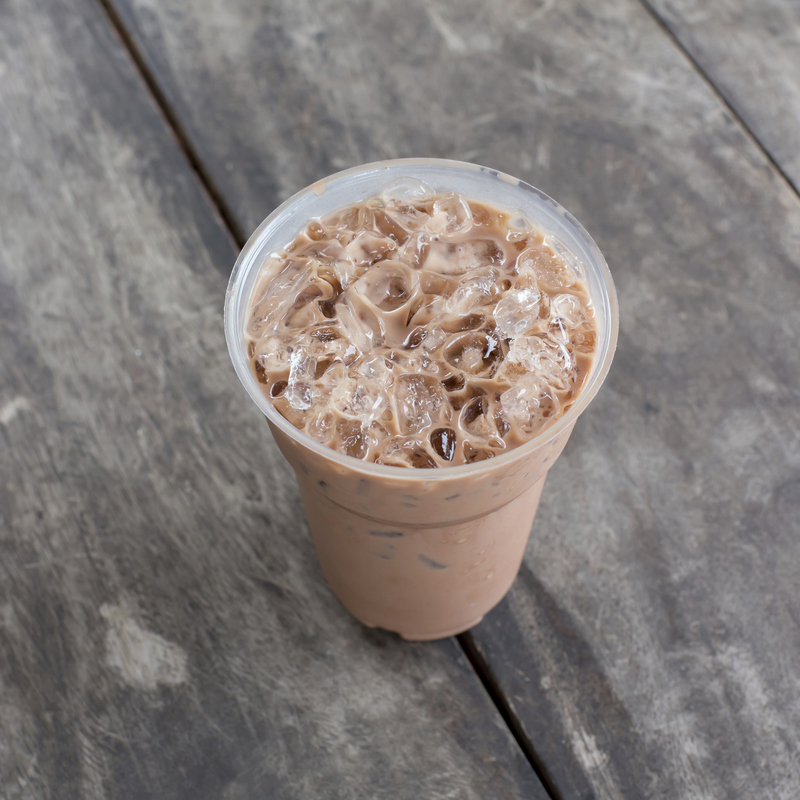 Ordering a larger size with ice on the side will give you more bang for your buck. Even better, ordering a smaller size than your usual with ice on the side will more than likely give you just as much of your drink at a cheaper price. It may not be a commonly known truth, but many coffee shops will water down the iced tea they serve to lessen the strength of it. If you're ordering an iced tea, ask for it without water. Your tea will be stronger, which means you'll be getting around the same amount of caffeine if you order a smaller size. You'd be shocked at how many coffee shops offer punch cards, and for bigger chain shops, rewards programs. Perks can range from free drinks after the purchase of a certain number, free birthday drinks, or even discounted drinks during certain periods. And of course, they're free to enroll in.